This Stunning Modern styled chair is made with grey and white flecked Fabric with vintage wooden legs. 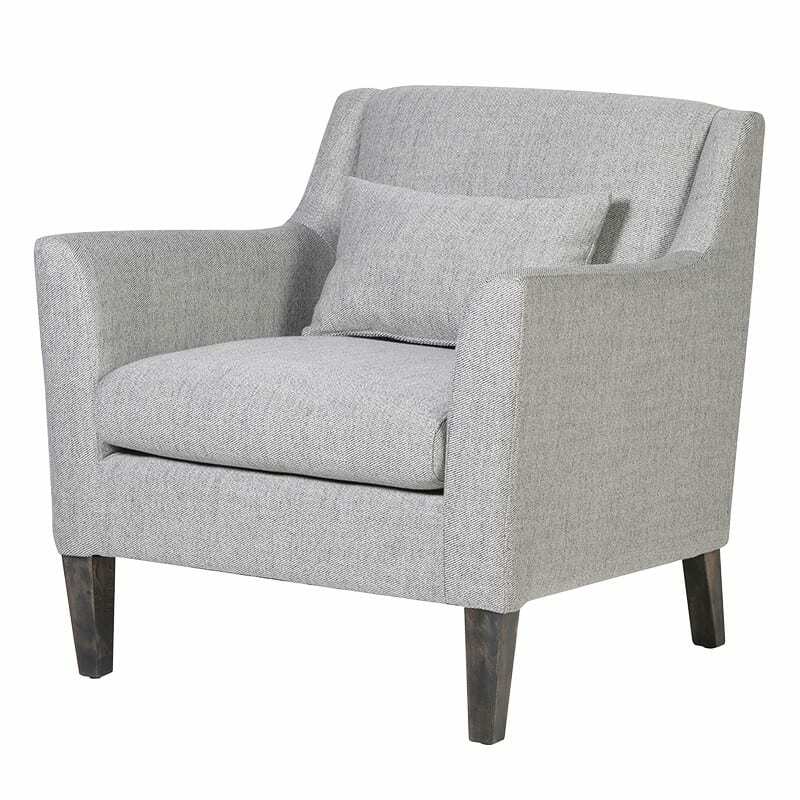 This classic design makes this club chair a great addition to any room. This beautiful chair is made from hand crafted Italian leather. This Chelsea arm-chair will add a touch luxury to any room. With its rolled arms and back and deep buttoned styling with decorative turned feet and linen upholstery. This chair is a sure to create a look of style and elegance to your home. This Faux Cow Hide Armchair would be a statement piece within your home. This particular armchair has exquisite studded detailing and sumptuous beige coloured upholstery. The stunning Mayfair armchair is finished in high quality vintage leather over a hardwood frame. Seating has eight way hand tied springs with foam, fibre and duck down fillings. Beautiful vintage leather will studded detailing. Would bring a heavy sense of character to any room. Quality hardwood frame, eight way hand tied springs & foam, fibre and duck down fillings. Leather Info: Hand crafted to replicate antique worn look that would have resulted with years of usage. The Chester Grande Armchair gives the perfect look to any room. Both modern and stylish, this sofa alludes to grandeur and elegance. Grey woven fabric with aged wooden feet completed with button back styling. High arms and comfortable seating position. Product Information: Manufactured from hand-picked, full, top grain hides. Hand finished.